Do you love this cover as much as I do? You know the kind of book that not just keeps you up at night but when you finally reach the last page, you realize that your face feels a bit funny because you haven't stopped smiling the whole time? That's what this book did to me. I loved it. I really loved it, every single page of it. Even afterward I couldn't stop smiling because I kept thinking of Mallory and Cameron. Okay, there were also times when I laughed out loud so perhaps you shouldn't read it in public...on second thought: Don't read it in public, some people might also find your permanent smile a bit scary. Mallory and Cameron were wonderful and authentic characters and the sparks, oh my...this was so sweet and funny. And I loved that I never ever felt as if one of them was taking advantage of the other one, both were always looking out for the other one and I loved their verbal sparring. I laughed so much ... Oh, and don't forget Mallory's family! Sure, Cameron's family was nice and open-minded and great but Mallory's... Geez...they cracked me up...those discussions? Oh...my... Every one of them is a character that you won't forget easily and despite their being somewhat intrusive and getting on everyone's nerves (in the case of Mallory's Aunt Grayce and her grandfather) you just have to love them. Most times. Ah, well, I forgot...her parents and their....activities...at last I found a briliant explanation why someone would need Alexa, right? I laughed a lot, I smiled constantly and I definitely know that I will read and re-read this book many, many times . It's charming, and funny and I loved it. *Please note: This book was previously published as Dirty Nights, The Novel. The title and cover have been changed and the novel itself has undergone updating and editing. This is a full-length, stand alone, new adult contemporary romance USA Today bestselling author, A.M. Hargrove. This book made me cry and I was shocked and I .....okay, let's start at the beginning... This book is set in the world of the West brothers, though we don't meet any of them only friends of Pearson's. Like Pearson's story, this one is about drugs and addiction and abuse and it's not pretty, believe me. When we meet Reese and Skylar both of them are in a pretty bad place. Both of them will have to fight hard - and they'll have to trust people in order to get their lives back on track. Skylar, well, her life definitely hasn't been easy and when things started to look better for her, I was so happy...and then I was devastated and ... well... 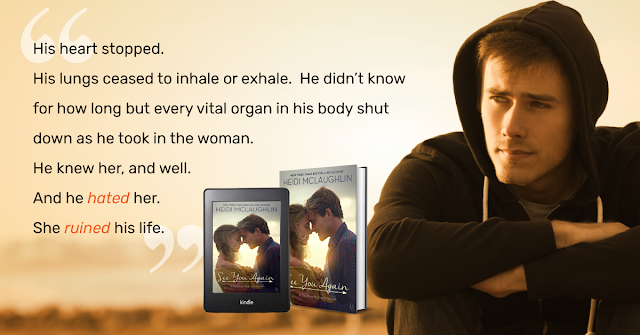 It wasn't easy for Reese to come to terms with everything that had happened but love conquers all and everything. I really loved those two together. Yes, their chemistry was amazing but also apart from that they were good together and supported each other and learned to love unconditionally. Skylar's parents made me so furious, how anybody can do that to his child... I'll never understand it and my heart broke for all the Skylars out there who never had a chance. I was a bit irritated by the rather unprofessional behavior of their psychotherapist but despite that, I really loved this book. 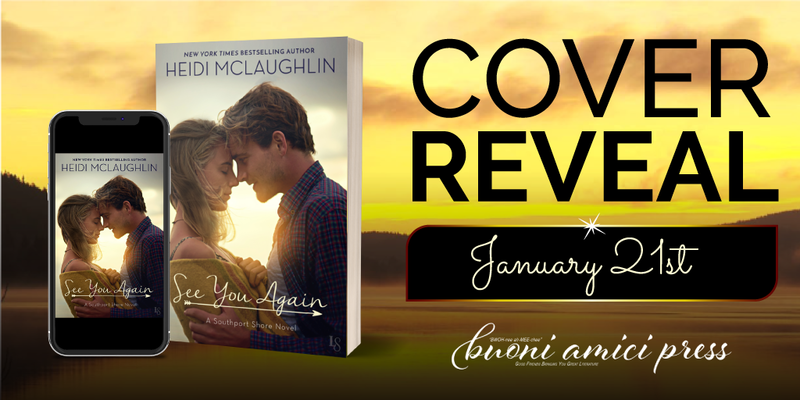 In general, I really enjoyed reading this story about Ava and Beau, the city girl and the cowboy who find love and happiness together. 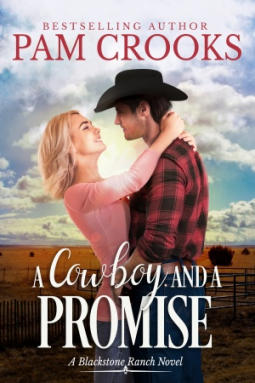 A promise she made to her dying friend brought Ava right to the middle of nowhere in Texas where she is supposed to finish her friend's project. While she is trying to find her way around the farm, building a very special resort, she gets to know her hosts' three sons. Even though Beau and Ava lock horns over her work right from the beginning, they start to care for each other. Their chemistry is off the charts and I really enjoyed every moment with them - up to the point where it started to feel rushed. You knew that they were in love but they were still getting there. At least that's what I thought and then - came the first declaration. Sure, they didn't have much time left due to Ava's impending departure but it felt too early anyway. Some action, lots of romance and very likable characters - I really liked this book and will definitely read other books by the author as well. Somehow this book had been on my reader for some time now and I missed it... Unbelievable but what a pleasant surprise now, when I stumbled upon it and was drawn in from the first page on. 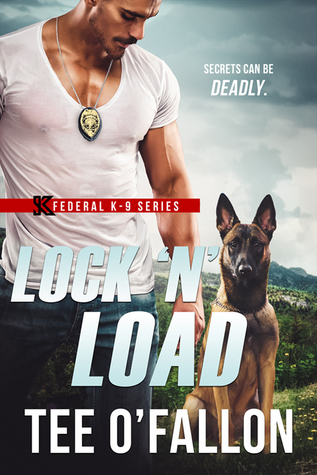 I have soft spot for all books K9 related because...well, I love the action and I love dogs and I love well-written romantic suspense and this book has it all in abundance! What a ride it was! Matt has his hands full trying to keep his little genius safe because petite she may be but she is not the type to give in and wait for things to happen. Nope, Definitely not. She is more of a hands-on-go-for-it kind of woman, no matter what the risk. Apart from this whole thing with agents and spies and so on trying to kill the woman he has fallen for (hard), Matt also has some demons of his own to fight. Sometimes even the strongest might need some help - and when the price is the woman you love, well, this is something worth fighting for, right? Captivating, full of action with many twists and turns, this is another amazing book by Tee O'Fallon! I think, the fact that since I've read this book on the 22nd and today, the 24th, I'm almost done with the third book in this series, might be some indication whether I liked the book or not. Maybe. 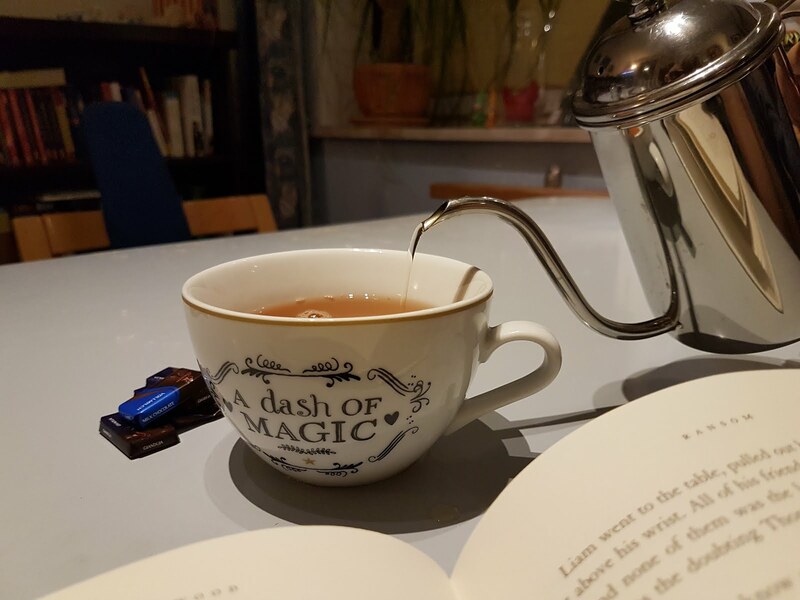 As much as I liked Tattered, the first book in Devney Perry's Lark Cove series, it was The Coppersmith Farmhouse that made me fall for her books, completely and absolutely. Despite the fact that Jess' manner of running roughshot over Gigi and his attitude whenever she doesn't agree with his decisions (usually when it comes to her jouse, her life, her place, her...everything) really made me mad, the fact that you could feel how much he wanted to be with her and how much she meant to him, made me grit my teeth, grumble and read on. Gigi- or rather Georgia is so charming and sweet and has such a loving, bubbly personality that you just have to love her and cheer her on when she finally finds someone to spend her life with and be happy. Even if this someone tends to behave like a caveman when he wants to stake his claim. 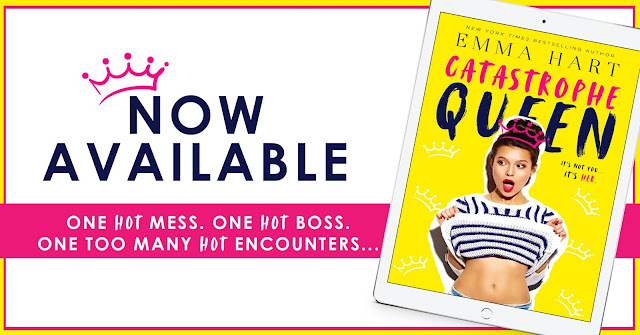 This was an amazing beginning of a wonderful series, I laughed and swooned and chuckled and loved every page of it. Gigi, Jess and her friends are interesting and authentic characters and I loved them all. I. Freaking. Loved. This. Book! Okay, I loved A Little Too Late and Living Out Loud, I didn't like Piece of Work as much as those two and was pleasantly surprised by Player (okay, it was amazing!) because I simply couldn't put that one down. I read the first page and was hooked. I loved it - and I was worried that the next book wouldn't be as good as that one because Player was one of my Top Reads in 2018 soooo... I worried. And now I still can't get those two out of my mind, even though I finished this book last week. Amelia and Thomas were such a sweet couple and their book was so heart-warming and funny and Melia was so cute and...wow. There were some scenes in this book, every time I think of them, I still chuckle or swoon or see little hearts everywhere. Oh, and some, well, let's just say that I'm not that amused. Putting it mildly. 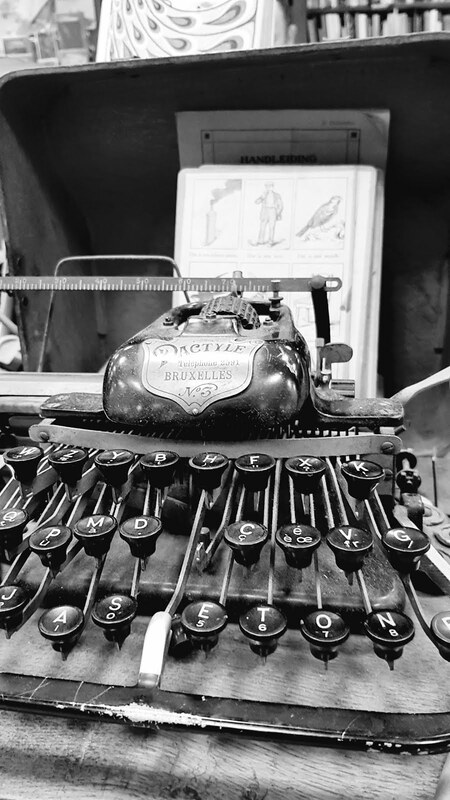 The writing was so vivid and captivating, it was just amazing! And I loved the story as well. 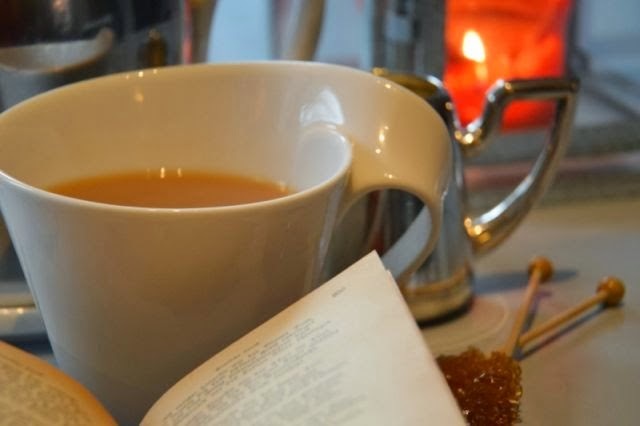 It was well-plotted and simply perfect - even though I dreaded the moment that I saw coming when.... and I hated it but, well, all is well, that ends well, right? And the memory of Amelia's first positive reaction to Thomas' new story was so cute and sweet and - well, those images just keep coming back, I guess, I'll have to reread the book soon! 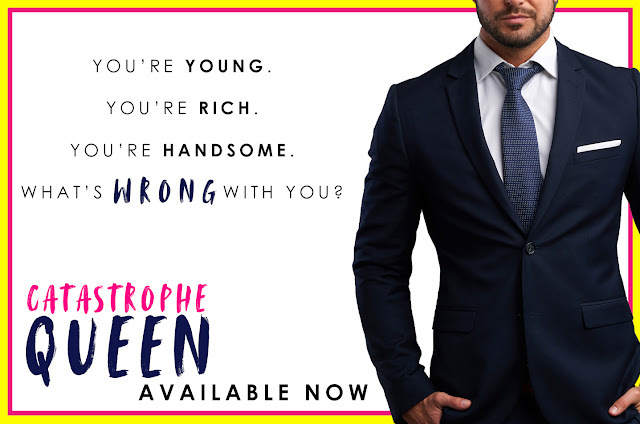 I also loved to meet the other couples again and I'm dying to read Katherine's story in Well Suited! This series just keeps getting better and better! From USA Today Bestselling Author, A.M. Hargrove, comes the 3rd stand alone book in the West Brothers Novels. did I imagine his prick of an attorney would gain him full custody of my daughter. at the in-patient substance abuse clinic where I worked as a counselor. This is a full-length, contemporary, single-mom, enemies-to-lovers, romance. 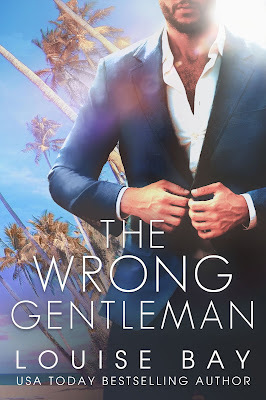 I struggled a lot when I was writing this review and I must admit that it was close to getting three stars but as I loved reading it and really enjoyed reading it on the whole, I ended up with four stars. The Wests are an amazing family who take care of their own and who are reliable, warm and always there when someone needs their help. So, naturally, when Pearson West, the third of the West brothers is in rehab trying to be free from his addiction to painkillers ...and everything that came after them, his family is there for him as well. Though it's not only his family but also Rose, his counselor, who is at his side, well, at least when they got over their (very) rocky start... It's not every day that the man who has helped your ex get full custody of your child turns up as your patient in an in-patient substance abuse clinic. Being friendly and empathetic is not very high on your list in a situation like this. Fortunately, Pearson is a West and a trustworthy and honest as the rest of the family and things change. They might even change for the better. I loved to read about Pearson's battle against his addiction and his way to sobriety. It was good to see him find his way and to see the support he got, not only from his family but from many others as well. Getting sober was never easy and as a character he was authentic and strong, despite his weaknesses. What I struggled with though, was the lack of professionalism when it came to Rose and his relationship with her, be it as his counselor or in private. Yes, they tried to maintain some kind of distance and so on but honestly, there shouldn't have been a relationship of any kind at this point and of course, Rose's attitude at the beginning wasn't right either. She should never have accepted him as a patient. The other part that really annoyed me were the clickety shoes. 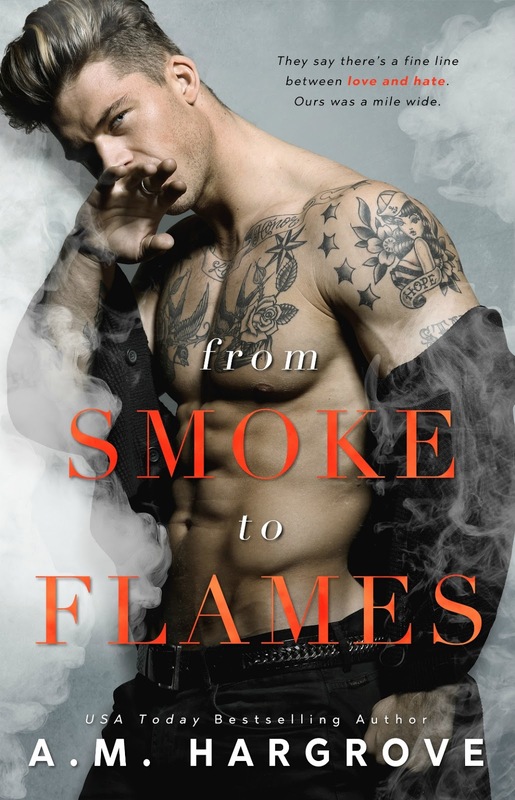 Yes, it was sweet and funny at the beginning, well, right at the beginning when it was Grey's story and it was also funny when it was mentioned the first time in From Smoke to Flames but, honestly, it was simply too much. Those shoes and the terrible dancing were mentioned far too often and with everybody laughing about the girls or being upset, it just didn't feel right. Despite all that, I enjoyed the story which was once again well-written and captivating and I'm really looking forward to the next books by A.M.Hargrove. Do you want to know more about the West Brothers? From Ice To Flames was Hudson and Milly's story. 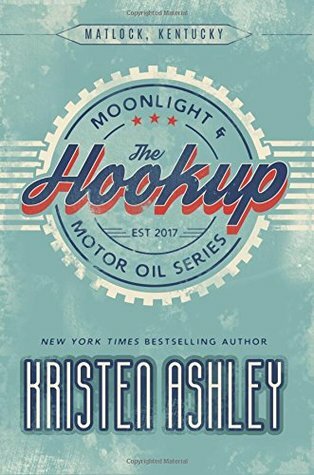 The Hookup - well, this book certainly got me hooked and not only on this book but I had to go straight back online and get another book by the author! Izzy was just someone that I'd love to get to know and hang out with. I love her attitude, the way she cares for others and her inner strength that made her overcome everything that she experienced in her childhood and hold on to the good things that happened. I loved to see Johnny getting drawn in by her and never really understanding what hit him. He tried to resist, he really tried. And failed. 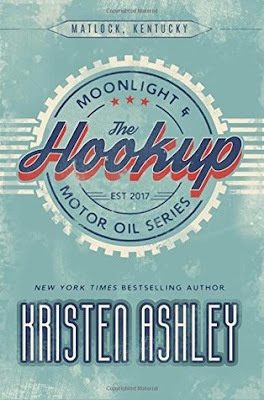 And now I simply can't wait for the second book in this series, The Slow Burn (Moonlight and Motor Oil #2) which will go live on April 30th! Work in Progress, an all-new fun and flirty standalone from Staci Hart, is coming January 24th! Don’t miss your chance! 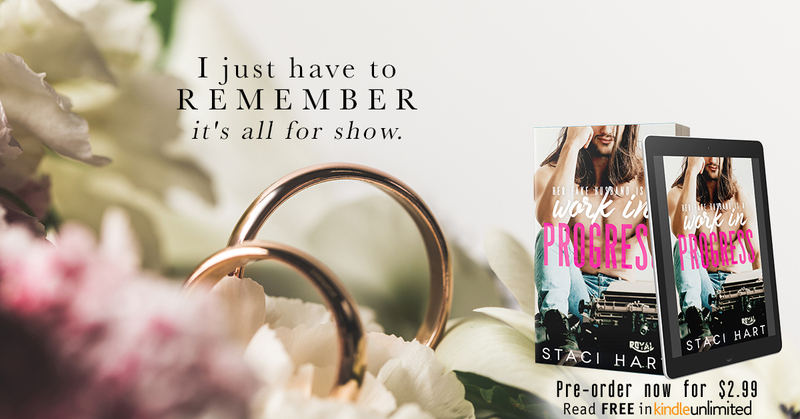 Pre-order your copy today for only $2.99! Price will go up on release day! 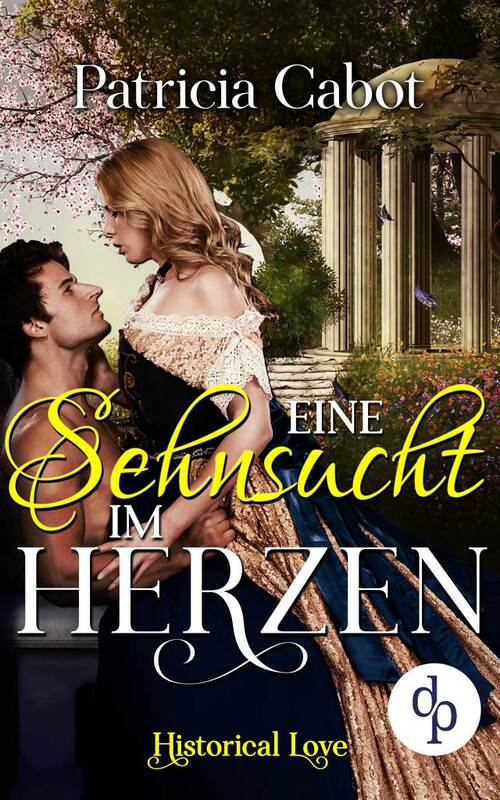 Ein weiterer historischer Liebesroman aus der Feder von Patricia Cabot, der mir insgesamt wirklich gut gefiel, wobei man nicht zu sehr auf historische Akuratheit pochen sollte. Es ist ein sehr unterhaltsames und fesselnd geschriebenes Buch, das mit liebenswerten Charakteren und einer spannenden Geschichte überzeugt. Als James sich auf den Weg machte, um nach dem überraschenden Tod seines Cousins, bei dessen Witwe nach dem Rechten zu sehen und den Leichnam seines Cousins nach Hause zu überführen, ahnte er noch nicht, dass diese Fahrt seine Leben auf den Kopf stellen würde. Hoffte er es? Vielleicht. Da Emma, die Witwe des besagten Cousins, nicht nur mit Geldsorgen zu kämpfen hat, sondern auch aufgrund einer Erbschaft ziemliche Scherereien mit unerwünschten Verehrern hat, wird es noch recht turbulent - und James bekommt vielleicht doch noch seine Chance. Oder? Auch wenn das Ende ein wenig knapp gehalten war, gefiel mir diese kurzweilige und erfrischende Geschichte gut.